Congrats! You hit your first payday. Maybe you earned $20 for babysitting, extra cash for yard work or a first payment from a part-time job. You put the money in the bank, but -— what's next? High school is a great time to build good financial habits, but anyone can benefit from the basics. And as you get older, you'll always be fine-tuning the process, says Brandon Krieg, CEO and co-founder of Stash, a financial services and education platform. "You're never too young to understand what money is, and you're never too young to understand how to save more than you spend," Krieg says. "What are the needs? What are the goals? Why are you doing this? Those things have to be decided at the start of the budget, and by the way, these things can change as you get older." Here are some tips that high schoolers (and everyone else) can use to build a solid financial foundation. Maybe you already know the basics: spend less, save more. But how do you keep track? Some people prefer Excel spreadsheets or apps like Mint to manage their expenses. Others grab a pen and paper and do it the old-fashioned way. Whatever your style, just make it a habit. Gaby Dunn, host of "Bad with Money," a feminist personal finance podcast, used to print out bank statements and highlight expenses in different colors. She says this helped her see where her money went, and color-coding the purchases put her spending in perspective. "It's shocking because you don't realize how much you're spending on food out rather than groceries, or how much you're spending on online services," she says. Because most high schoolers still live at home, they're not spending money on rent or bills. That makes it a great time to learn money basics and maximize savings. "Now is the least expenses you'll ever have," Dunn says. "You're only making money at this point. That will end very soon." Related: How do I create a long-term financial plan? High school money goals come in all sizes. Some are small (gas money or movie tickets) and some are big (car repairs or college savings). Know how much you want to save for your goal — say, $200 for a spring break trip with friends. Using your budget, crunch how much you spend each week on food, transportation and other regular expenses. The amount left over is money you can sock away toward your goal. But remember: the bigger your goal, the more time you'll need to save. Other times, you may need to research cheaper alternatives, like a staycation instead of a beach trip. If you don't meet a goal in time, don't give up on budgeting altogether, Krieg says. Instead, revisit your trusty budget to see what went awry. "A lot of times what people need to do is realign the goals," he says. "Don't get defeated by your dreams." 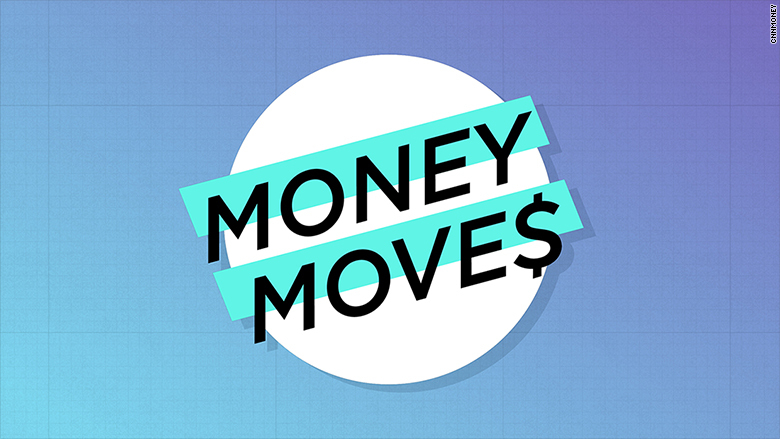 Have a money question for Money Moves? Ask us here to be included in a future column. Some states mandate financial literacy as a requirement for high school graduation. But for many teenagers, their financial education is self-taught. So maybe you've aced budgeting and goal-setting and are ready for more advanced personal finance: opening a credit card, or investing in the stock market. Online resources can help. Society of Grownups and The Charles Schwab Foundation offer easy courses in budgeting, investing and managing money for all ages, and apps like Stash have a custodial option, so parents and kids can learn about investing together. Dunn's advice: keep it simple. Talk to people you know. "A lot of the young people I interview get a reality check talking to their older cousins, parents, siblings and friends," she says. "Frankly asking questions about money gave them such a rude awakening. Just ask 'What's a mistake you made that you think I can avoid?' People will be like 'Oh, let me tell you.'"